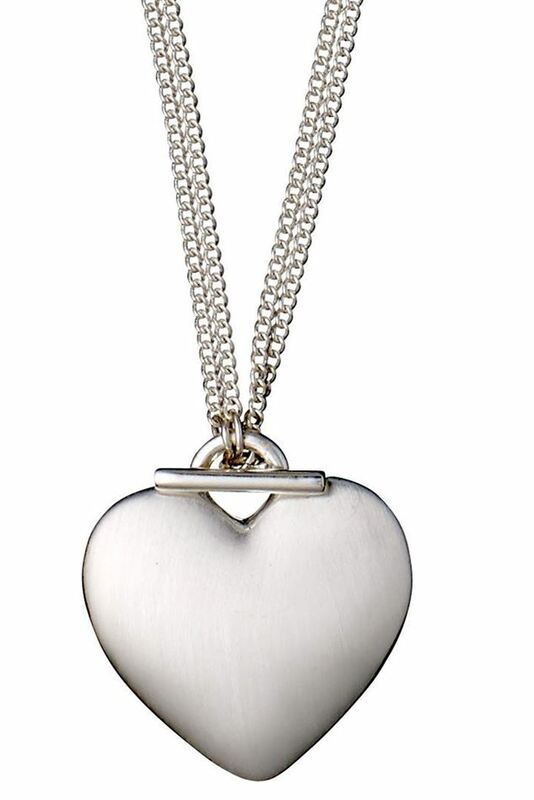 Impressive and eye-catching double necklace with a pretty velvet-matt heart as pendant. Impressive and eye-catching double necklace with a pretty velvet-matt heart as pendant. Wear the necklace as its full length (90 cm) or double it (45 cm). Extremely versatile.